Don't spend all that energy earning your turns only to have to compromise your ski descent due to light, flimsy touring bindings. Whether you enjoy the skin out as much as the ski down or just live to feel the burn, you'll be stoked to get your gloves on a pair of Marker's Tour F10 AT Bindings. 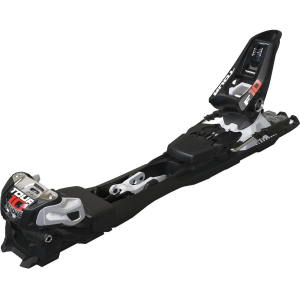 This AT binder features steadfast reliability and a wide footprint at a fraction of the weight of similar Marker bindings.Integrated 7- and 13-degree heel risers help you gain elevation efficiently, and the wide footprint brings the stability and responsiveness you'll feel whether you're skiing freshies in the trees or open bowls over the ridge. You are a skier after all--it's really all about the downhill anyways.